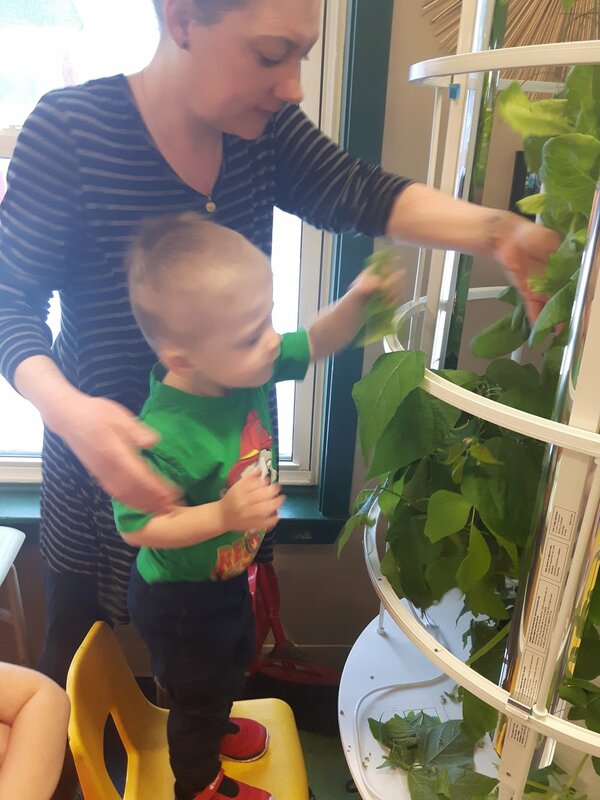 Did you know the we are able to grow 28 different plants in our Tower Garden? Here at NHCS we are taking healthy into our own hands by growing our own fresh and nutritious produce! Growing is so much easier when there is no weeding, tilling, kneeling or getting dirty. This compact tower is saving space, time, and is able to grow plants in less time because of its patented vertical aeroponic growing system. 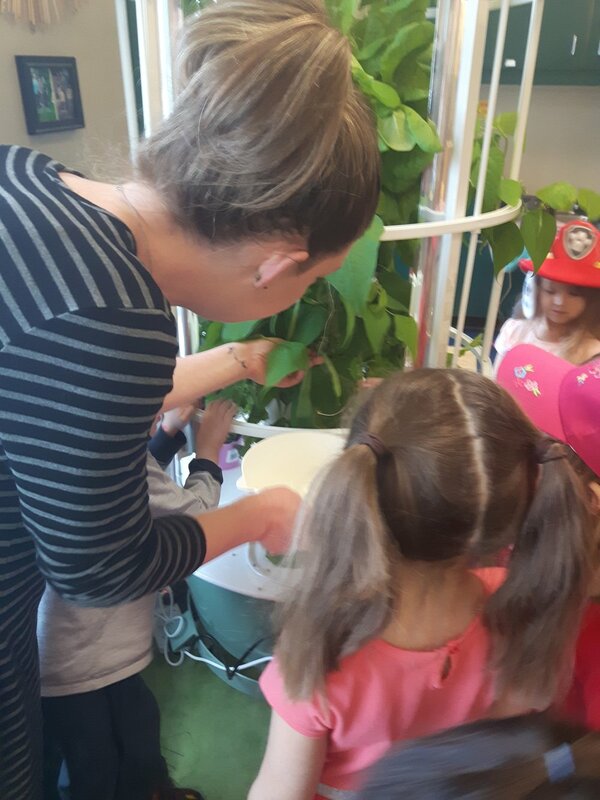 The children have had such a wonderful opportunity to experience the planting process, watching the vegetables grow and now harvesting! Some of our lettuce and beans were ready to be picked! Once we harvested our plants, the chidlren decided they wanted to make a salad to go with lunch. 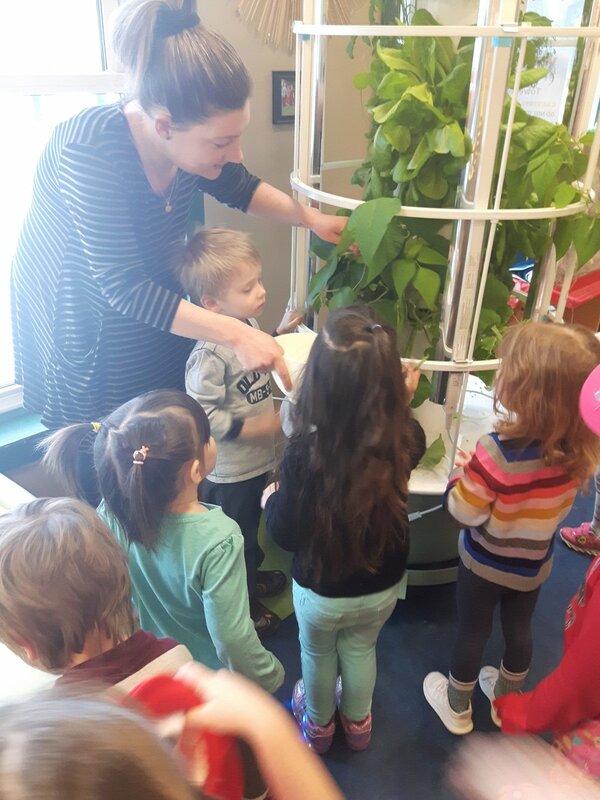 Our Tower Garden has turned into a wonderful learning opportunity for everyone; not only are they learning about vegetables, and planting they are learning about the recycling process of the water and nutrients.